In today’s post, we have 10 Invention and Concept Designs, you might find they are creative and useful; or crazy and unacceptable. They might not really new designs, but for me, it is first time to see them and find they are kindly of interesting. Now, let’s check the post and let us know your thoughts. As I know, it is the first tear-off calendar, that tears off its leaves automatically! 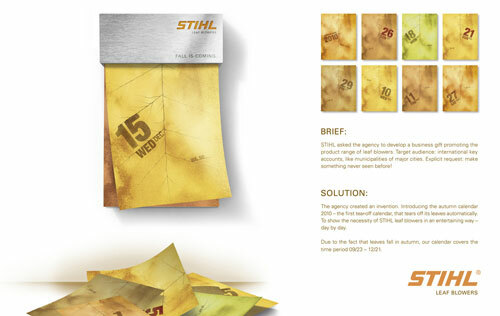 To show the necessity of STIHL leaf blowers in an entertaining way – day by day. Due the fact that leaves fall in autumn, their calendar covers the time period 09/23 – 12/21. 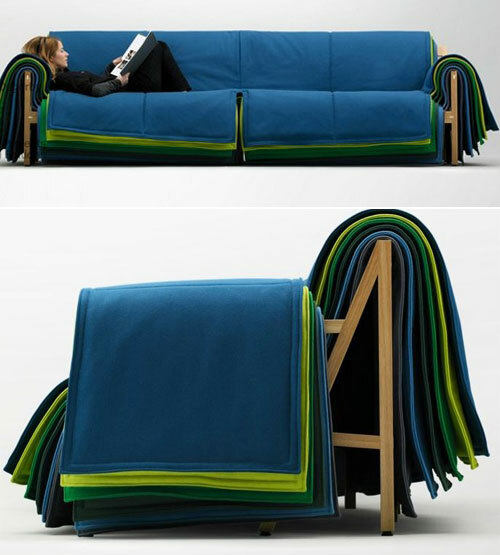 This interesting sofa is designed by Barber Osgerby. Basically, it has a solid oak frame and multi-layered fabric upholstery, which allows you easliy to change color. 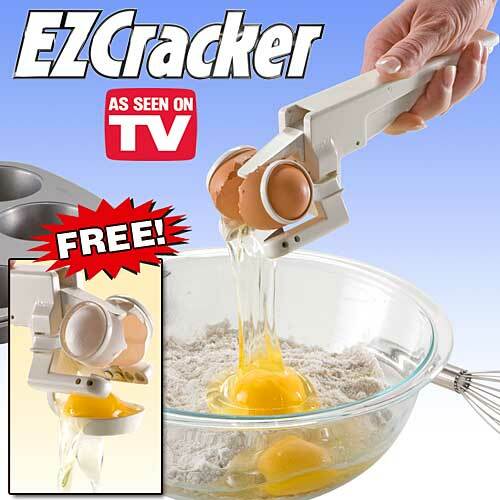 This is an interesting invention and I really don’t we need a tool to crack egg??? As description, it is said, EZ Cracker egg cracker and separator is the perfect way to cook with eggs at just the touch of a button. The simple design allows you to crack open eggs without any mess or bits of shell in your food. Special included FREE BONUS attachment makes separating egg yolks and whites just as easy. Strip shells from hard boiled eggs in seconds! 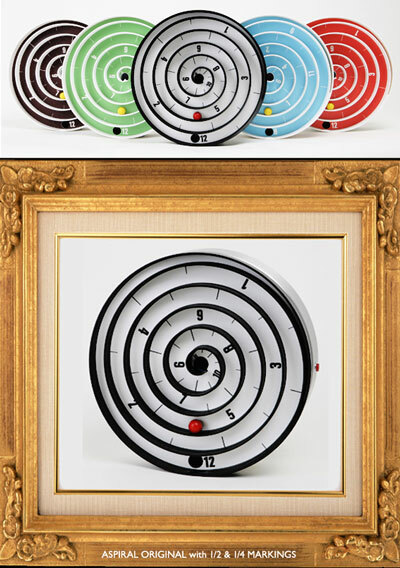 This super cool clock called Aspiral is handmade by inventors Will Aspinall and Neil Lambth in London. 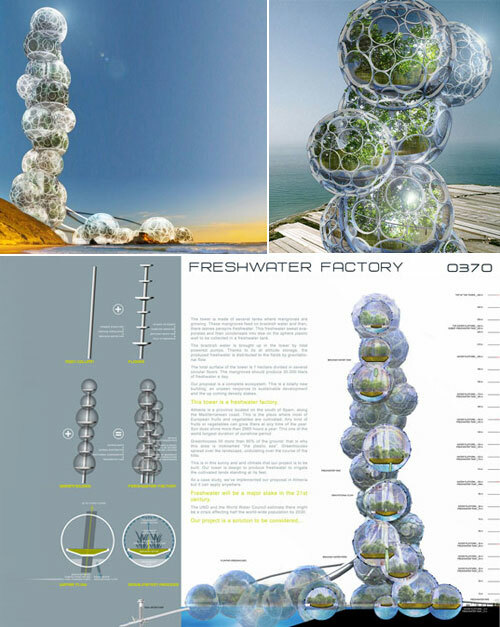 Design Crew for Architecture have created an incredible water purifying skyscraper that looks like dozens of soapy bubbles stacked one on top of another. Capable of making freshwater efficiently and sustainably using a series of bubbles filled with water-filtering mangroves, the unconventional building pushes the envelope of what a skyscraper is capable of doing. Using tidal powered pumps, the brackish water ((water that has more salinity than fresh water, but not as much as seawater) will be brought up into the tower and circulate through the mangrove plants, which have the unique ability to thrive on brackish water and perspire freshwater. The freshwater sweat then evaporates and condensates into dew on wall of the greenhouse and is collected in a freshwater tank. The resulting freshwater can then be distributed to the fields using gravitational flow. 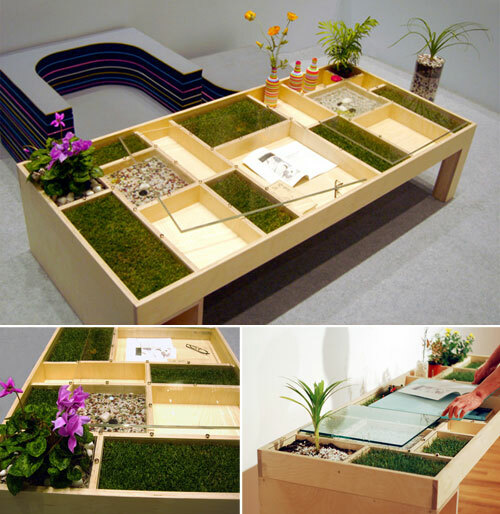 Korean studio nothing design group has designed ‘play ground play table’ which allows users to grow plants in it. made of wood, the table is divided into different sized square sections to accommodate various types of plants. users also can raise fish or use it for ordinary storage. This a a pretty odd design…My question is: How to water those plant? since the table is made of wood..is watering will cause problem? damage the table itself? Definitely fun product. I would like to try…em, one day. 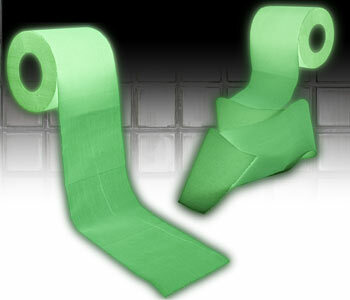 In a world where scientific discovery and exploration is slowly but surely unraveling the myriad mysteries of the universe, it’s gratifying to know that some idiot can still find time to come up with such a ludicrous invention as Glow In The Dark Loo Roll. It won’t enlighten us as to what happened at the beginning of time, it will shed some light on the subject at hand, and it’s a lot funnier. Like all things luminous it needs light to charge itself up, so to speak, and the amount of light it gets will determine how long it glows for. 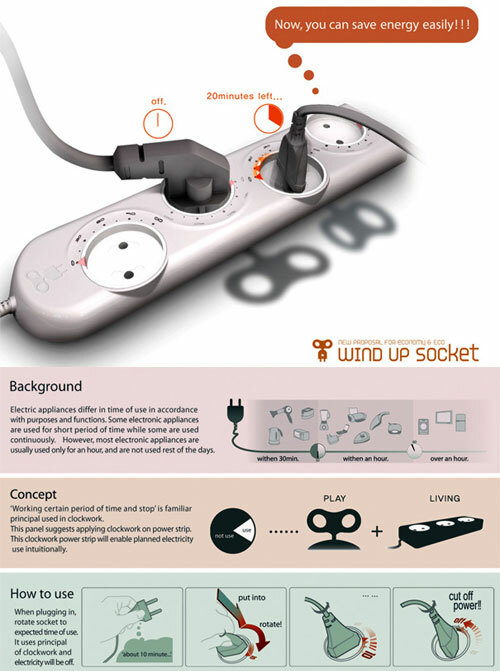 Wind Up Socket has a timer to it, once you set the duration and time’s up, the electricity supply to that socket gets cut off. For grownups who don’t have many restrictions and can self regulate, this one may seem more cumbersome than anything else. But for moms with teens who don’t comprehend “half hour of TV / Videogames time”; this is booty! Rodarte Fall 2010: Glowy Shoes! It looks really so amazing, pretty and snob-worthy. 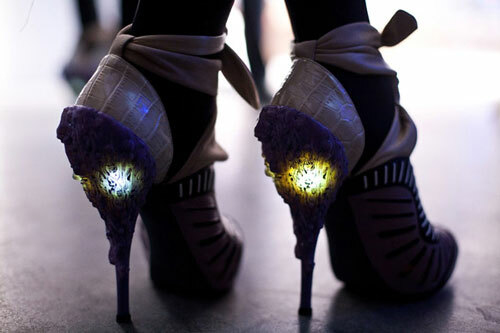 Yes, I am talking about the Glow Shoes that Rodarte showcased at the NY Fashion Week. Completely futuristic and attractive, the footwear will up surge your style quotient. Based on an orgaic skin-and-bones body, the Etirement has both: a skin and a skeleton. Pulling the rod you see in the center there adjusts the light the lamp gives off. 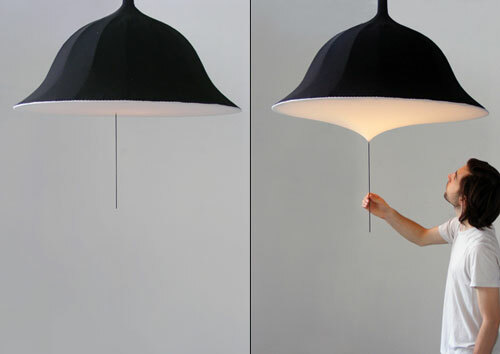 The intensity of the light lowers down and rises up according to the distortion of the fabric membrane. The designer of this object, Rémi Bouhaniche, calls the temporary, changing shape of the Etirement “a poetic time from a daily action.” Very pretty!